COPD is regarded as one of the leading causes of morbidity and mortality across the world, yet its proper diagnosis remains a challenge. 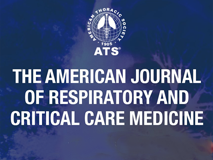 Community-based population studies conducted in North and South America, Europe, Australia, and Asia collectively suggest that approximately 70% of COPD worldwide may be underdiagnosed. Conversely, other studies have shown that between 30% and 60% of patients with a previous physician diagnosis of COPD do not actually have the disease, and hence they have been overdiagnosed. This review defines under- and overdiagnosis and explores the prevalence and the burden of under- and overdiagnosis of COPD on both patients and healthcare systems. The review further describes potential solutions to reduce the incidence of under- and overdiagnosis of COPD. - Title: "Underdiagnosis and Overdiagnosis of Chronic Obstructive Pulmonary Disease"
Founded in 1980, COSMED is a privately owned company manufacturing Cardio Pulmonary and Metabolic Diagnostic Equipment. COSMED products include a full range of Spirometers, Pulmonary Function, Body Composition, Nutritional Assessment and Cardio Pulmonary Exercise systems, including Electrocardiographs, Ergometers and Assessment Software. COSMED solutions are aimed for either professional or medical use for many different applications like: Hospital, Clinics, Primary Care, University & Education in Human Physiology, Clinical Nutrition, Commercial Weight Management, Human Performance Centers, Sport Institutions and Health Club Industry. COSMED Headquarters are located in the province of Rome, Italy. COSMED has subsidiaries in the USA, China and Germany, and distributes its products internationally through a constantly growing distributor network covering more than 70 countries.